Feminine and sweet in spirit but infused with bold, organic elements, we can’t help but fall for the beautiful contrasts in Corrina and Isaac’s elegant and earthy farmhouse wedding captured by Mustard Seed Photography! Set at The Farmhouse, the chic, modern take on a ranch style venue, white wood walls, giant chandeliers and floor-to-ceiling windows created a brightly lit setting to play the perfect host to glamorous decor elements and a neutral color palate. Reserving bridesmaids dresses and floral arrangements as the only sources of poppy colors, the peachy, champagne and bold pink hues made for a perfect match with the altar lineup of soft blush gowns. Inside the reception, glittering gold place settings, lighting fixtures and table decor were juxtaposed by table runners topped with intertwined greenery and infusions of earthy, wood elements in the tables and chairs. Even the cake took on a glam-meets-naturals appeal in a gold glitter marbled three-tier cake from Dolce Designs. 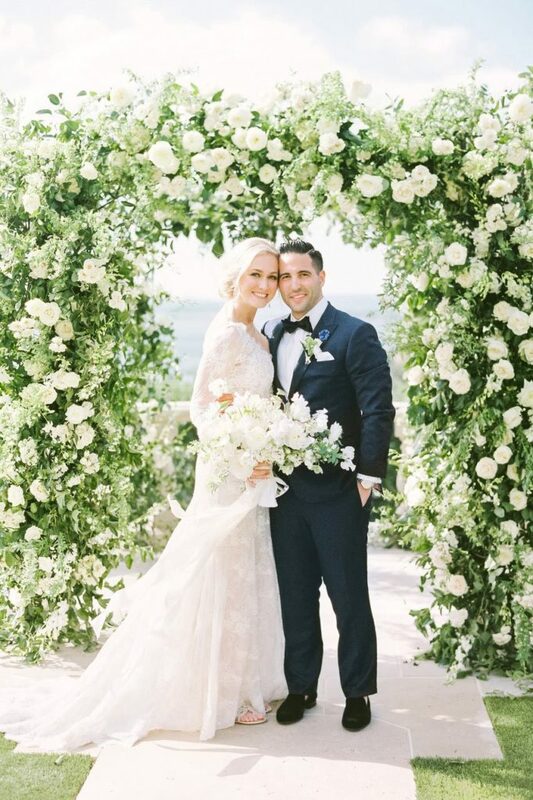 We’ll be using these gorgeous photos as inspiration for months to come! Cheers! 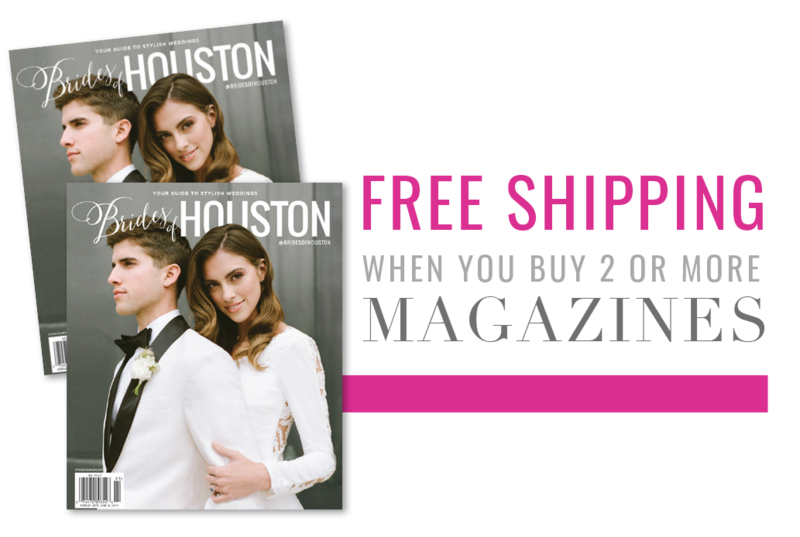 From the bride: “During the planning process we wanted to be as close to Houston as possible since that’s where our love story began. I had always wanted to be married in a white barn, so we did some research and found a white barn themed venue that was just being built. As we stood inside the center of what was to be the reception space we looked at each other and knew this was it. When we toured The Farmhouse a month before our wedding, I couldn’t help but tear up because it was so perfect! Since our venue was a white farmhouse it was almost like a blank canvas. We really worked our color scheme into the reception space and added details to personalize the venue. We incorporated a few DIY projects into our wedding, and I’m so happy we did. I love looking back at the pictures of our work and knowing the love and dedication we put into creating each project. My father and Isaac worked together to build the table in the entrance of the ceremony space and the boxes that held the programs, and we also created a wood board filled with Polaroids from over the years of our relationship!